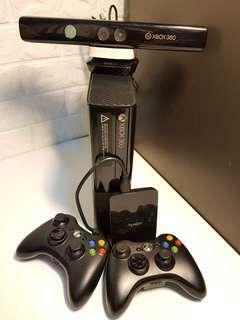 Xbox 360 E Console. It was originally priced at RM1,400 and games already downloaded into the harddisk drive that is included as part of the package. Two controllers and the Kinect are also included. Price is still negotiable.